LOCATION LOCATION LOCATION! This beautiful charmer built in 1904, offering loads of modern updates while keeping its character. Lovely country style home in town, minutes from I-80. Great room style living area, perfect for entertaining. A lovely open and airy white kitchen and high end cabinetry. A large eat up bar and built in wine fridge. Living room with windows looking out to the front yard. Enclosed back porch, perfect for an office or play room. Unfinished attic offers room for expansion. 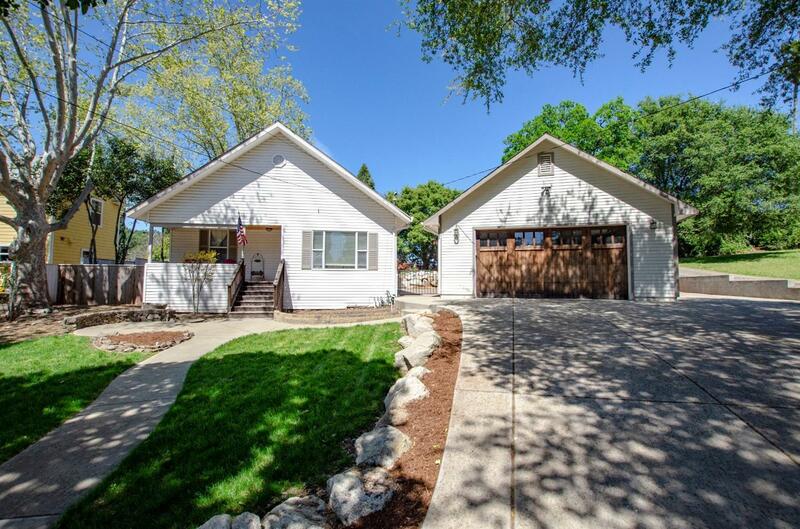 A detached garage 24 x 30 with plumbing for a bathroom, pull down ladder and more. Welcoming front porch and a dream of a back yard with patio, built-in fireplace, and plumbed BBQ area. A must see indeed!